No matter how little or much we like to sleep, we spend approximately a third of our lives sleeping, and who doesn’t desire a cozy, nice bed to sleep on after a hectic and exhausting, long day? Sleeping is not only one of life’s greatest pleasures, but it is also a necessity. Therefore, having a good place to sleep is imperative as well as a supportive mattress to sleep on. But once we buy or have a mattress, we practically neglect the idea that we ought to change it someday, or that perhaps the old worn mattress is the causative of our restless, interrupted nights. Hence, changing our mattress is very important, but the question is how often should you buy a new mattress? Well, here are some factors you might want to consider. Every mattress is intended by its fabric to last a certain amount of time. Most mattresses have their lifespan on their label. Check that label. Each mattress has a different longevity according to the materials, the quality, the durability and the manufacturer. Now some mattresses are given a 25 year warranty, but that does not mean it is always safe and healthy to keep it for all those years. Our use and caution will determine if the mattress lifespan is reduced. So, for example, if we allow our children to jump on it frequently or drop liquids or food, the mattress will be susceptible to carrying mildew, having mold issues and experiencing sags. The mattress comfort level and firmness are crucial for our body to rest appropriately. When we buy a mattress, most of the time we choose one based on our experience of lying on it and feeling comfortable. Different materials such as coil springs, upholstery layers, foams, among others are responsible for giving our body the support needed to have a good rest. However, the support system of the mattress deteriorates with time and use. Check the visible signs of age in your mattress. One way to determine if your mattress is getting to its end is by acknowledging the way you feel when you wake up. Is there any numbness, stiffness or aches? Do you feel tired every morning after sleeping in your bed? Do you sleep better in other beds? 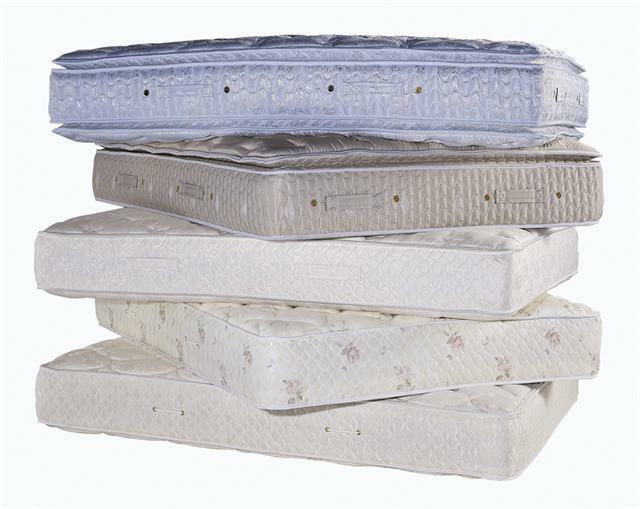 The lifespan of a mattress is not only about its comfort and firmness but also about hygiene. Even if we try to ignore the disgusting fact that bed bugs, dust mites and other filthy bugs love our beds, the truth is that after several years, the mattress increases in weight due to accumulation of mites, bugs, wear and tear and bodily fluids. There’s even more if we allow our pets to lie on our bed or sleep there. Thus, there is a great importance of keeping our mattress clean by vacuuming it. This will also decrease any chance of acquiring allergies. Be alert to signs like cough, sneeze, stuffy nose, itchy skin because they can all be indications of an unsanitary mattress and the need to change it. Having a nice, new mattress is essential for a good night’s sleep. Don’t spare the importance of changing your mattress on time. Check the mattress warranty and make sure you do not exceed the mattress lifespan. Remember, after 7 to 10 years you ought to consider changing it. Maximizing your sleep is essential for your health and a clean, comfortable mattress may be all we need to have a pleasant, restful night. This article was written by Angelica Figueroa from SaatvaMattress.com. Angelica has been writing professionally for over 3 years.